This post will be updated by me every time I discover new options to upgrade Dropbox for free. There is a also german version available. 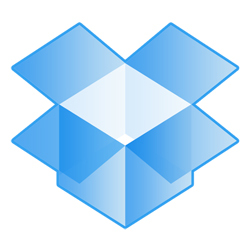 Dropbox has grown to a really successful and widespread service for backups and sharing. My sister is using it in university, in my former agency we used Dropbox to share project files and now in school we use it to collect all the student works. The only problem: The free account just offers 2GB space in the beginning and that isn’t much if you want to share or save pictures, music or movies. There are several options and tricks available to extend your space (up to over 20GB) for free and without upgrading to a Dropbox pro account. The simplest way is to visit this page and connect your account with Facebook/Twitter and share your love for Dropbox. You will get 125MB for each action. Another very simple option is to share invites and earn 250-500MB for every referral. I started spreading the link 5 months ago and until now I have earned over 10GB with referrals. Students with a .edu email address can double the space earned with referral links. Just visit the Dropbox edu page. Michael Müller wrote a comment in the German article about a new opportunity for students to earn an extra 3GB for two years. Additionally you have the chance to get 25GB, depending on how many students from your school are joining. For owners of brand new Samsung or HTC phones Dropbox offers an option to earn up to 48GB for two years. You’ll find more informations over at their forum. If you use a smartphone, you can earn up to 3GB for free by testing the new upload function for pictures. Just install the update in the app store and confirm that you want to upload your pictures automatically. If you aren’t using Dropbox yet, you have the chance to start with additional 250MB by using this Link. Do you know more tips? If you know any other tricks to upgrade Dropbox for free I would really appreciate your help to keep this post up to date. Just write me a short message or leave a comment.